Wood stone pizza oven, live sports, family friendly. great open plan space with something for everyone! 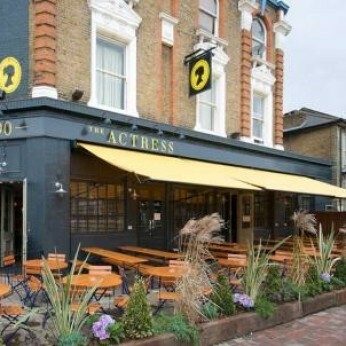 The Actress pub in East Dulwich lies just off Lordship Lane in a peaceful and popular residential area & popular with families where you can enjoy fantastic pizzas from our Wood Stone oven or catch the latest live sport. With ever changing menus, all our food is freshly prepared on site and served from our open kitchen. Cask Ale Week 2018 is underway and how better to celebrate than with 2 Cask Ales for just £5! What’s more, you will receive a collector’s card to be stamped with every pint of cask ale you purchase - after you collect 5 stamps your 6th pint is free!